This movie, in my opinion, is one of the best movies of the year. This stylish, subversive and surprisingly dapper movie puts an all new twist on the whole James Bond type and super secret spy movies. 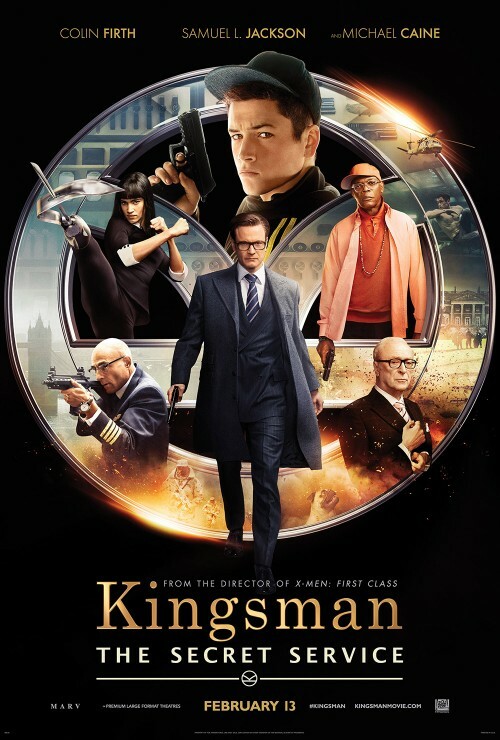 In this movie, Taron Egerton plays Gary “Eggsy” Unwin, whose late father secretly worked for a spy organization and died in the field, lives in a South London housing estate with an abusive stepfather and seems headed for a life behind bars with his numerous deviances. However, the dapper agent of that organization, Harry Hart, Colin Firth, recognizes the potential in the young man and recruits him to be a trainee in the spy organization known as Kingsmen. Side note: one of the things I found the coolest about Kingsmen, besides the fine clothes, was that they named each of their agents after a knight of the roundtable. Like Galahad, Lancelot and Arthur. Even the trainer of the trainees had the code name, Merlin. Anyway, Eggy then goes through the Kingsmen training which does prove to be literally the most dangerous things he’s ever done or endured. Meanwhile, the obvious evil mastermind of the movie, villainous Richmond Valentine, played by Samuel L. Jackson, launches a diabolical plan to solve the problem of our dying earth by climate change by putting a whole new twist on how psychos do genocide through a worldwide killing spree. And by worldwide killing spree, I mean influence everyone’s minds with brain waves that eliminate self-control and puts the victim in a state of unrelenting rage that makes them try to kill everyone around them. So what do we have so far? A spy organization that recruits an unrefined, but promising street kid nicknamed Eggsy–a weird name–into an secret spy organization whose ultra-competitive training program could literally kill you. And all this happens just as a global threat emerges from a twisted tech genius with a lisp. Is that everything? I don’t know. Go see the movie.